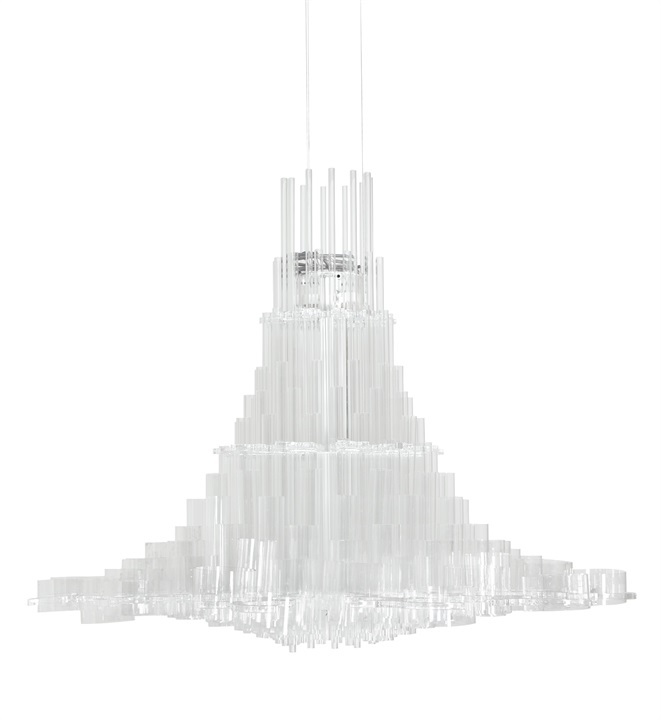 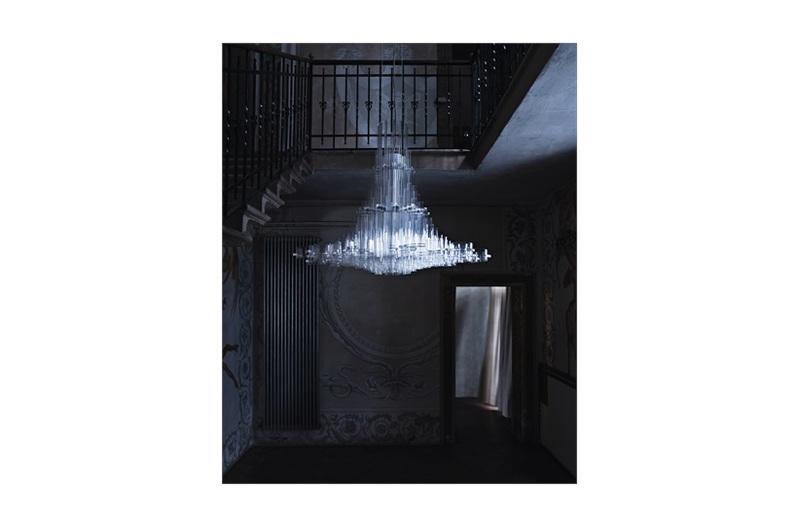 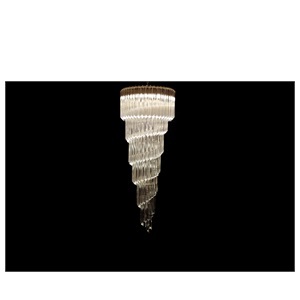 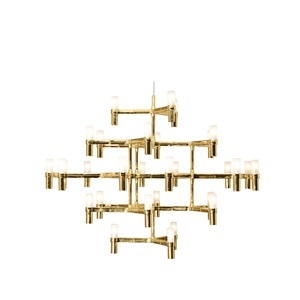 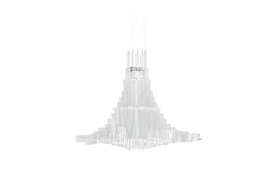 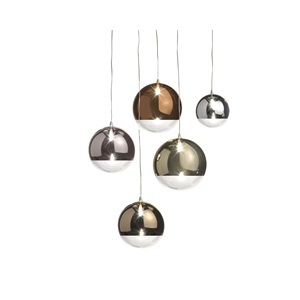 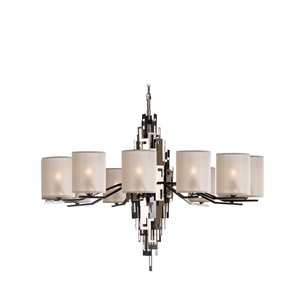 The sculptural Opaline chandelier adds modern drama to contemporary and traditional schemes alike. 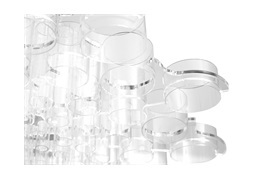 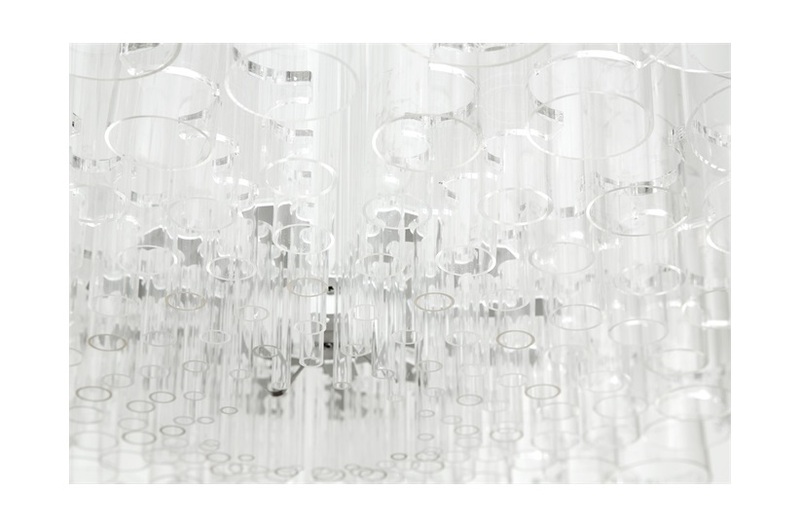 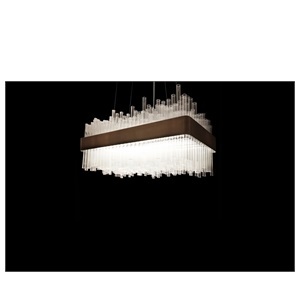 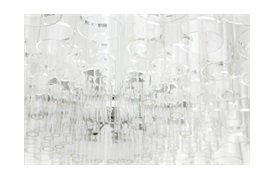 Transparent metacrylate tubes in various sizes complement its simple steel base. The clear tubes emit a unique light radiating from its centre outwards.